Happy Friday! Alhamdu’lillaah for another beautiful day. Hajj 2018 is just around the corner now. Also Eid-al-Adha is coming up next. Indeed lucky are the people who are performing Hajj this year. 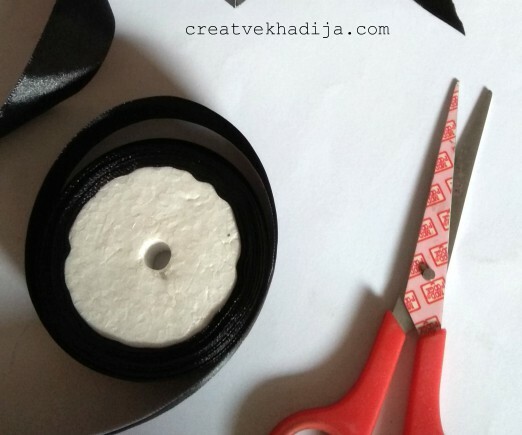 Today, I will be sharing a useful DIY about how to make Hajj favor box in Kaaba design. People who return after performing Hajj, giveaway some gifts to family & friends usually ZamZam water, Tasbih, fresh dates & miswaak etc. 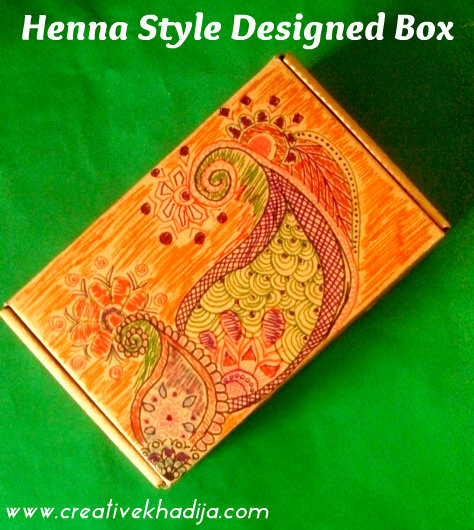 For the small things, this box is perfect as gift box. I will be sharing it’s tutorial today. Last year I got some Hajj favor boxes made for a friend, this year I decided to try something similar for those who are searching the tutorials online. 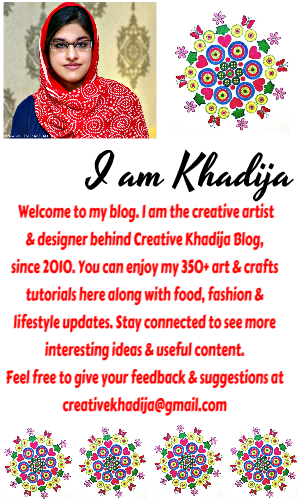 So if you are trying to make something similar, my blog post will be helping you InshaAllah. 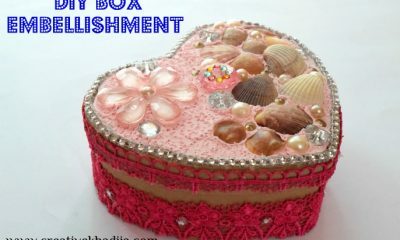 There are several types of favor boxes and goodies boxes for giveaways. The reason I choose this design/pattern is connection of Hajj & Kaaba building as the people who perform the Hajj pilgrimage tawaaf around the Kaaba building. 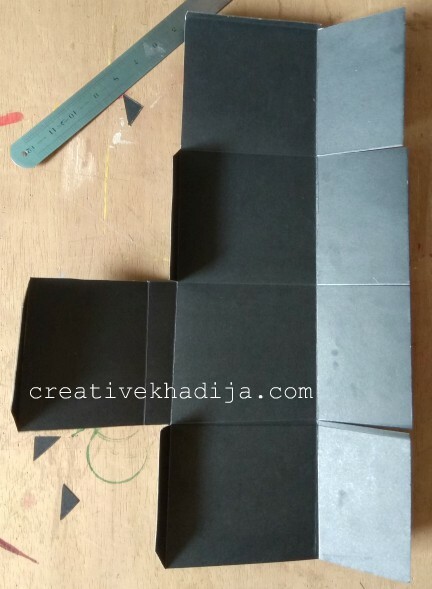 To know how to make Hajj favor box in Kaaba design, you will have to follow the steps I am going to share below. Have a look. 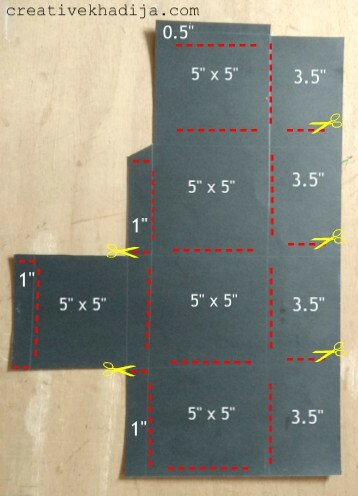 First, you will cut a sheet measuring 20.5 inches long by 14.5 inches wide. Draw straight lines with pencil by following thee pattern above. First line at 3.5″ second 5″ and then keep 1″ space. For the box opening section another 5″x 5″ then 1″ for the folding. 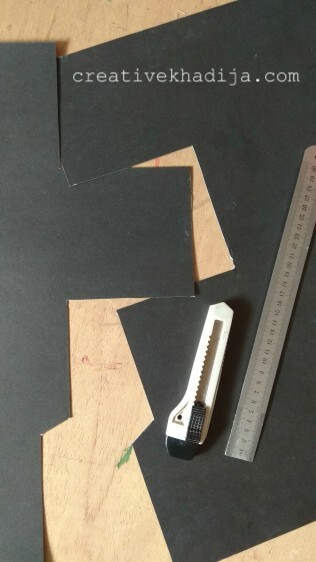 With the help of a sharp cutter, you will make three cuts of 3.5″ and two cuts of 1″ as shown above picture. Now fold the cuts inward. Also fold all the pencil lines inward. 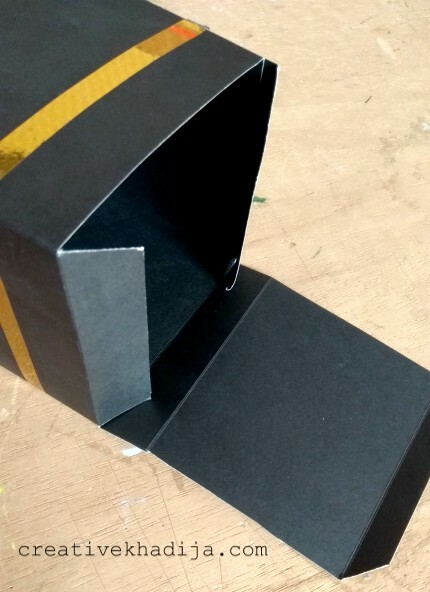 The 0.5″ space will be pasted with hot glue gun to the other side for making a square box. 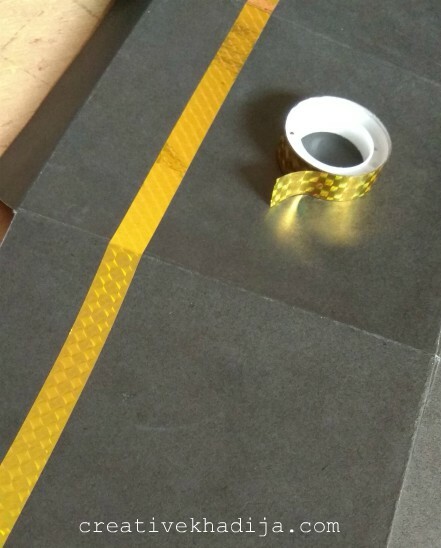 I have applied the golden glitter tape as well. Box is ready now. 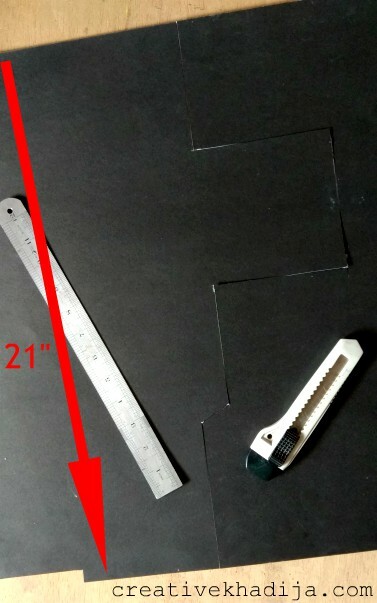 Cut mini triangles on the sides of 1″ space of box opening section. 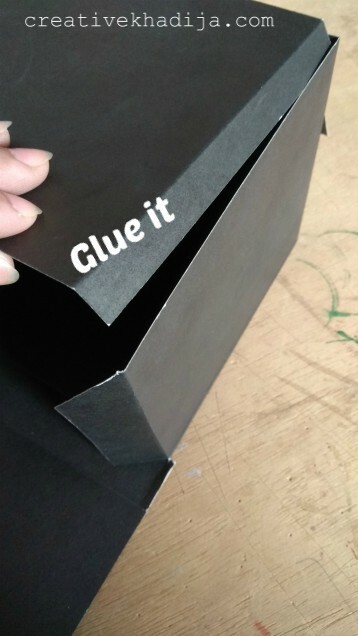 You can also paste some sticker on the opening lid to make thee box close properly until someone open. I tie a knot with a black 1.5″ wide ribbon. 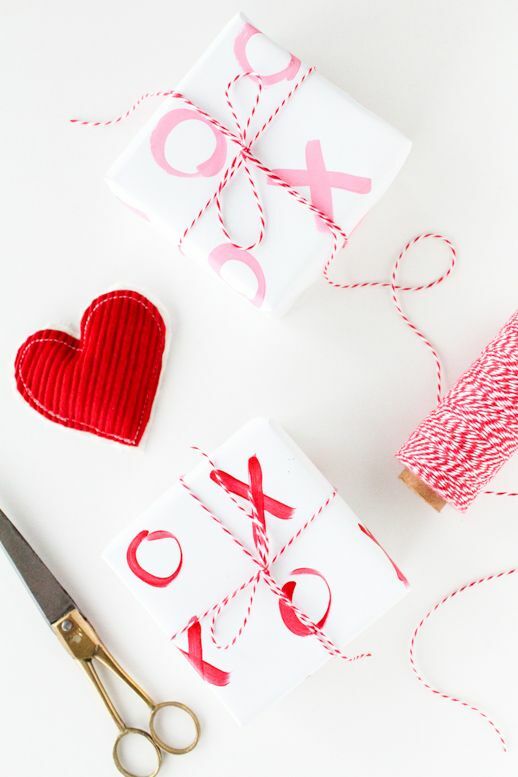 Tie some ribbon the way you want. I am not making any fancy bows though, the simple the better. 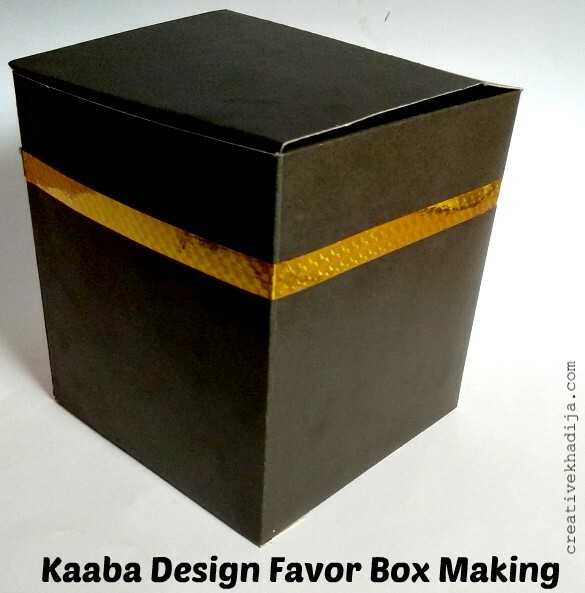 Here it is the Kaaba building design box. 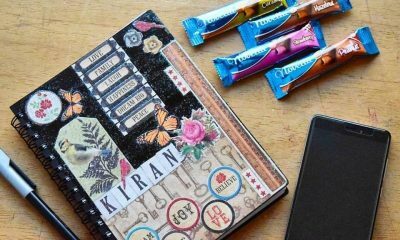 You can fill this 5″x 5″ box with all the Hajj hadiya mini goodies. 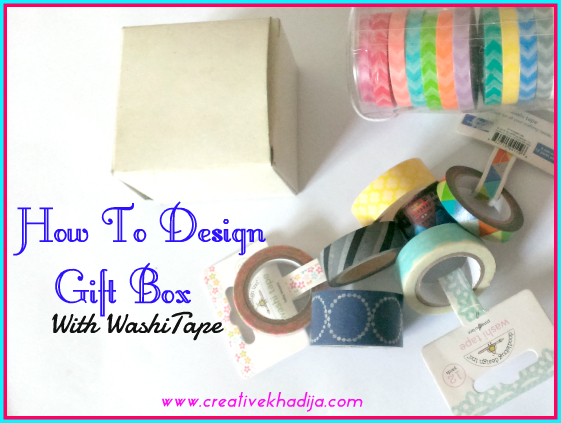 You can also put a tag along with the ribbon for writing the name of the person you are gifting. Here it is the step by step tutorial in one picture. Feel free to share it on your social media networks. 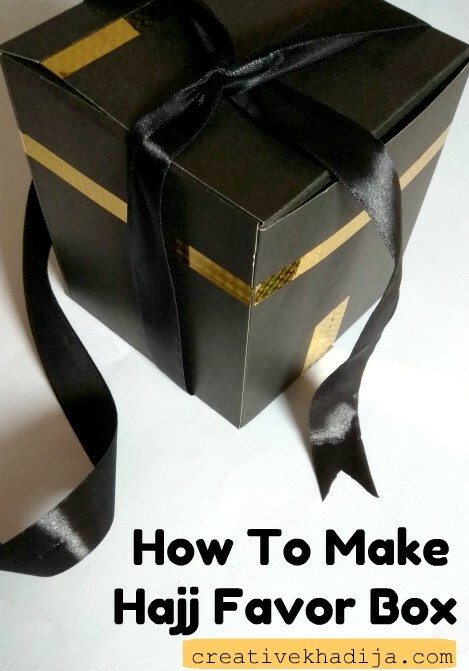 I hope my tutorial will be helping you in the making of a favor box. 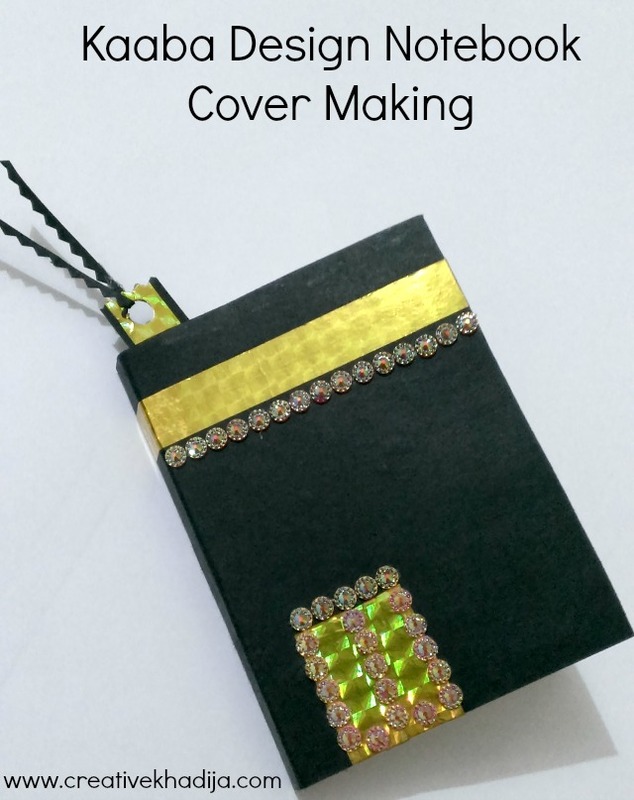 Here it is a mini notebook I designed for my friend who performed Hajj last year. 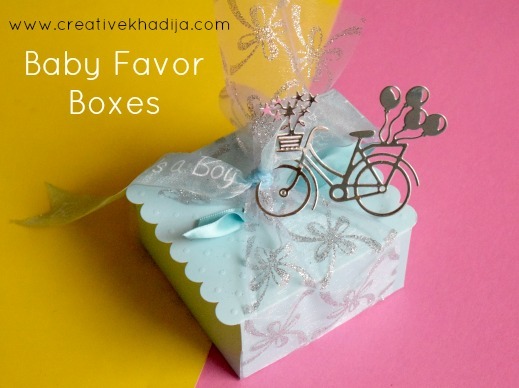 Check this previous post of favor boxes for a friend’s baby shower which I’ve decorated. 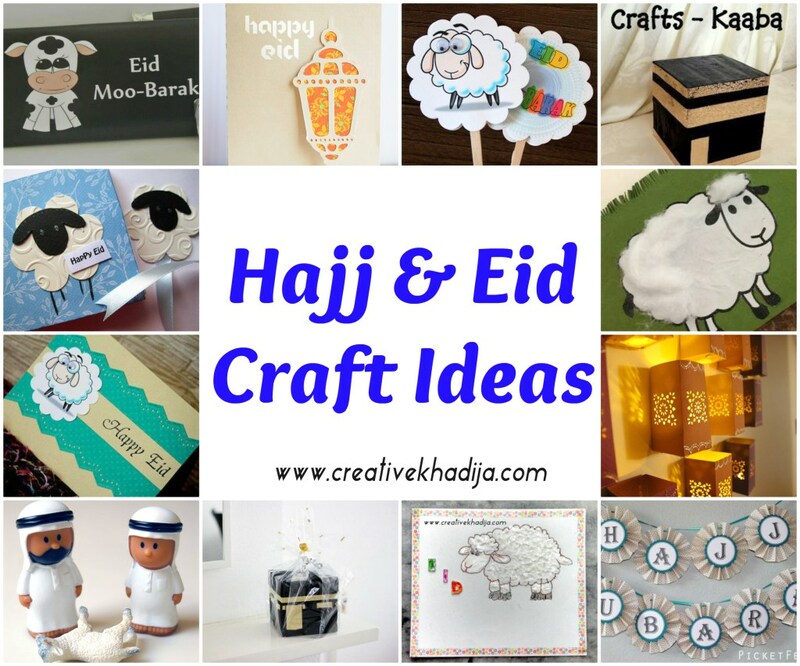 You can also have a look at my previous year’s Hajj crafts and Eid ideas. 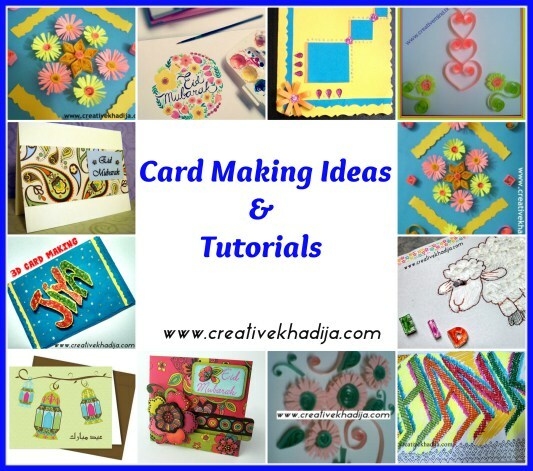 Check this post if you are looking for some handmade Eid cards tutorials. 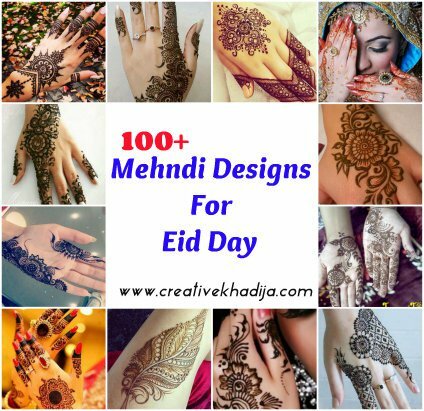 As Eid is coming soon, so you can also check these Eid Mehndi designs for inspiration! Stay tuned to see more :) Have a great day!